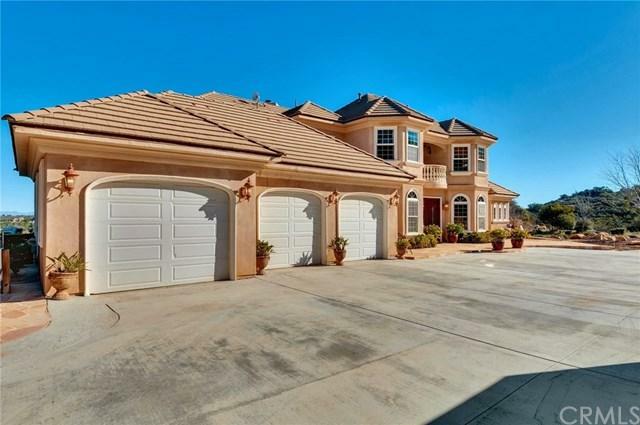 41485 Calle Andalucia, Murrieta, CA 92562 (#TR19065255) :: Ardent Real Estate Group, Inc. 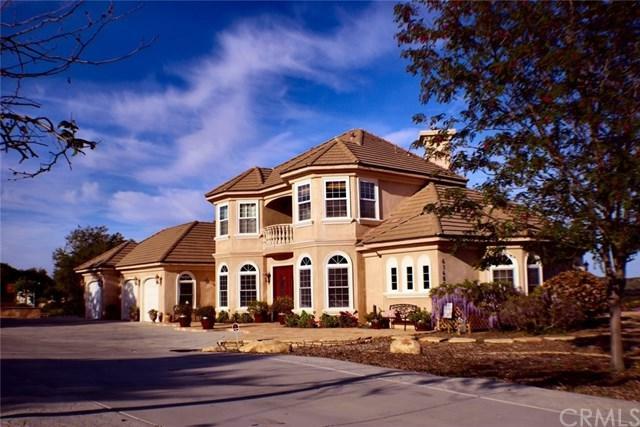 Exclusive La Cresta area custom home w/wide open concept, natural lighting & stunning views. Well appointed Chefs kitchen w/walk-in pantry, butler's pantry, breakfast bar, separate dining area & adjoining formal dining, downstairs is the master suite w/walk-out view patio & luxury master bath w/custom glass rain shower, jetted Jacuzzi tub, his/hers walk-in closets, 2 vanities & separate water closet, powder bath, bdrm/office/den, living room/library w/fireplace & spacious family room w/fireplace & views. 3 bdrms upstairs w/walk-in closets, adjoining baths & private sitting area w/walk-out view balcony, prof. landscaped. Solar=$0 electric bills, Well=$0 water bills & much more! Plenty of room for horse barn, stables, guest house & spec home. The 3 car garage includes +-+ bath, built-in workbench, & addtnl apx 900 sq ft of storage above. An addtnl apx 400 sq.ft of storage also available bringing total available storage space to 1300 square feet! Street & driveway fully paved in 2017. Available furnished. Up to 1% mortgage interest rate buy down to prequalified full price buyer+seller to pay 50% of closing costs for full price buyer. Pre-inspected by licensed inspector: April 2019. Inspection shows 100% "Satisfactory" turnkey condition. As of March 23, 2019 listing price includes an addtnl immediately adjacent 4.68 acre parcel w/the paved driveway, seasonal creek, pond, RV parking & addtnl building sites! The addtnl 4.68 acres brings land in listing to a total of 9.35 acres!